Greece has been a traditional holiday destination for many years thanks to the delightful climate, lively resorts and stunning beaches, but in recent times it has emerged as the golf destination of choice. 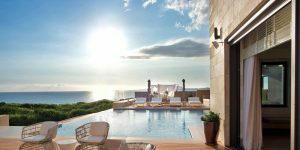 With a glorious position on the Mediterranean coastline with stunning panoramic views, the Westin Costa Navarino and The Romanos hotels share a special part of Greece with two amazing golf courses. 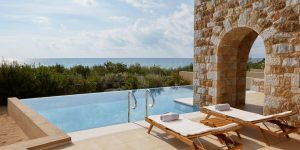 Thanks to the Bernard Langer designed Dunes Course at Costa Navarino, this luxurious resort has begun attracting golfers from all over the world and with continual praise heaped on the five-star venue, the attraction doesn’t look to be subsiding any time soon. 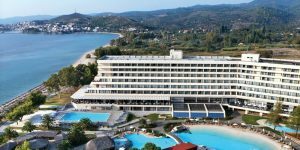 Along a 9km stretch of sandy beach just outside of Halkidiki amidst 1,700 hectares of nature, nestles the Porto Carras Resort with two hotels and an 18 hole golf course. 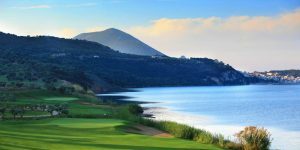 In contrast to the Costa Navarino course, Porto Carras has stayed under the radar, but still receives superb feedback from those in the know. If it is fine dining, spa treatments and the possibility of an all-inclusive golf break in Greece you’re after, then look no further.